Notepads are an often overlooked marketing piece that are functional while adding value for your customers. Whether at your desk, by the phone or in the car, almost everyone needs to jot down notes at one time or another. Nearly as effective as calendars, printing notepads with your brand gets your company’s message in front of your target audience all year long, or at least until the notepad runs out of paper. Here are some notepad branding and printing tips to make the most of your company’s marketing strategy. While printing notepads is nothing new, more and more companies are turning to notepads as a means of getting their brand into target markets and customers’ homes and workplaces. When people use your company’s notepads at home, work and in their cars they’ll constantly be exposed to your company’s message. This fulfills an essential part of branding – repetition. And custom printed notepads from Electro Image LLC is the perfect opportunity to brand your company and get its message out there. 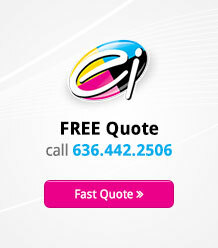 When it comes to custom printing notepads, you’ll want to seek the graphic designers and printers at Electro Image LLC for the most effective designs and copy. Our team can guide you through the process of determining the information about your company and contact details you’ll want to include. 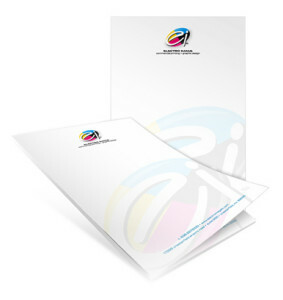 They’ll also offer advice about placing the best size logo at the top or bottom of your custom printed notepads. In some cases a watermark across the whole notepad is called for. Rely on our team of graphic designers to apply their creativity and turn your notepad into an appointment or prescription sheet, checklist or various other tools your business demands. Your custom printed notepads should have an eye-catching design that builds your brand image and sets you apart from your competition. This is why our graphic designers make it their mission to create attention-grabbing designs that makes everyone who sees your notepads take notice. Bright colors, creative themes and unique shapes are key. Design features are utilized with due consideration for the white space required for a clean, easy-to-read notepad. We make your company’s colors prominent on your notepads while using varying hues and tones of the same base color to balance your notepad’s design. Finally, we recognize that notepads should be easy for customers to use. This is why so many companies opt for high-grade 70-pound paper with a white wove finish. This quality paper ensures your company’s notepads are easy to write on and attractive. Branded notepads are the versatile marketing piece that keeps on giving. Custom printed notepads are the ideal way to distribute your company’s brand to clients, customers and employees at conventions, tradeshows or through direct mail to homes. No matter where your customers are – at home, at school, a business meeting, their desk at work, on call or in the car – notepads are appreciated by all. Notepads are one of the best ways to promote your company’s brand and message.